19.08.2012 - Batam. Is that time of the Year, the 1st Day of Hari Raya / Lebaran!! :) Satay Beef and Chicken is my ultimate dishes on Raya Menu. 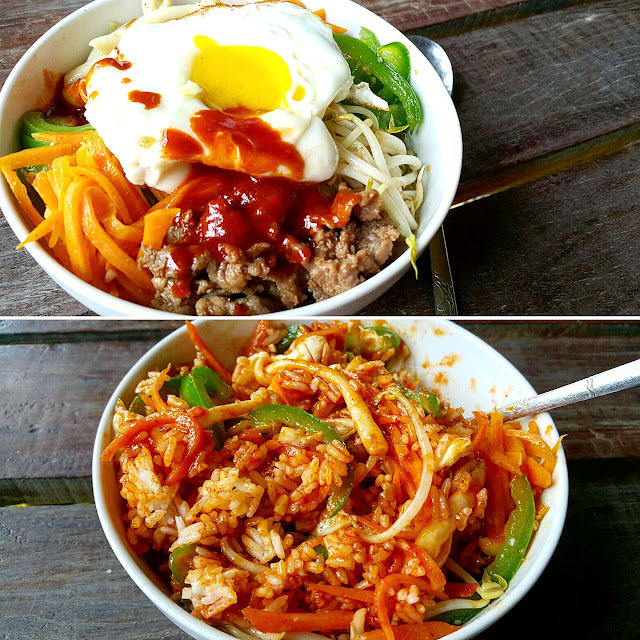 Its simply easy and delicious. The reason why i don't use skewers for my so called satay, because i forgotten to buy them.. Sometimes, when we get so desperate for something, everything works my way. Without skewer I just pan fried the meat slowly with little oil on a normal non stick pan not on grill pan cos i don't have that either! LOL, no one knows that you cheats. Because the Taste and Texture is all the same and came out perfectly delicious!! I served with Peanut Sauce and Ketupat. *Prepare marinate beef and chicken. Blend until smooth. 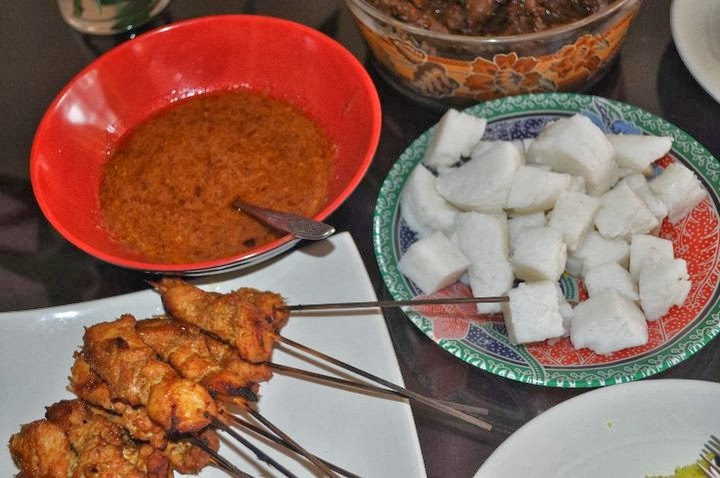 Mixed blended marinate ingredients to the meat, add sugar, salt and kicap manis ( indonesia ) sweet dark soya sauce, if u can't find this can just avoid it. but with little kicap manis taste really nice. skewer with bamboo sticks leave it marinate overnight or few hours. or you could just leave it marinate in a bowl and skewer it the next day. *Prepare peanut sauce. Heat oil in a wok and fry lemongrass, galaga, ginger, chili spices & ketumbar powder until fragrant. Add in peanuts, water, tamarind juice, sugar, palm sugar and salt. Simmer until thick. set aside. * Grill beef and chicken over a charcoal fire until cooked. Served with cucumber, onion, Peanut Sauce and Ketupat. This was back in 2010, my first satay ayam making served with Peanut sauce & Ketupat on Hari Raya in Brunei. This was cooked in the Oven grilled.